A group of old school friends is gathered for dinner and the topic of conversation gets on to change - in career, relationships and family life. One of those present contends that change no longer bothers him after having heard 'a funny little story' called Who Moved My Cheese? In this artful way, Spencer Johnson introduces the reader to his fable on how to cope positively with change. The story involves four characters who live in a maze: the mice Scurry and Sniff, and two 'littlepeople', Hem and Haw. All is going well because they have found a huge source of their favourite food, cheese. Hem and Haw have even moved their houses to be near it and it has becomes the center of their lives. But they do not notice that it is getting smaller, and are devastated when they arrive at the site one morning and find the cheese is gone. This is where the story splits in two. Scurry and Sniff quickly accept the loss of the cheese and go off into the maze in search of other sources. The littlepeople, because they have built their lives around the big cheese, feel they are the victim of some kind of fraud or theft. Yet this only makes things worse, as their clinging on ensures that they go hungry. Meanwhile, the mice move on and find new cheese. The fable captures well that moment after we have lost a job or a relationship and we believe it is the end of the world. All the good things were in the previous situation, and all the future holds is fear. Yet Johnson's message is, instead of seeing change as the end of something, we must learn to see it as a beginning. We have all been told this, but sometimes motivation is lacking. To make himself accept reality, Haw writes this on the wall of the maze: "If you do not change, you can become extinct." For life not to be wasted, it demands a level of risk and adventure. If you are willing to live this way, change loses its horror. In fact, the advancing person purposely creates change because the world is not currently how they would like it. What the Littlemen, Hem and Haw, discover is that breaking through your fears makes you free. Those who continually seek security, ironically, are wracked by the possibility that they may lose it. 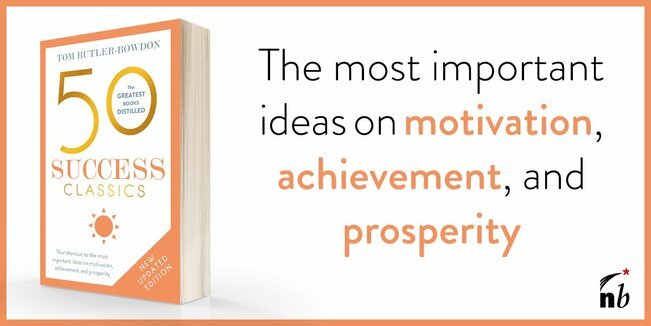 While the book addresses the fact of change in all aspects of our lives, given how many offices it circulates in it would be fair to say that its main message relates to work. Most employees are employees because they prefer the security of a set wage under the apparent protection of large enterprise. For others, the chief benefit may be that for most of the day they do not have to really think; they 'complete tasks'. But such dependence restricts personal growth, in the same way that medieval serfs, while given a roof over their heads on the estate, often never strayed more than a few miles beyond it and could never expect to be truly independent people. Many will regard Spencer Johnson's sub-100 page work as trite, but its valuable lesson is easily remembered: Do you have a 'big cheese' in your life that you believe will last forever? "He knew he had learned something useful about moving on from his mice friends, Sniff and Scurry. They kept life simple. They didn't overanalyze or overcomplicate things. When the situation changed and the cheese had been moved, they changed and moved with the cheese. He would remember that." Johnson has a background in medicine. He gained a BA in psychology from the University of Southern California and his MD degree from the Royal College of Surgeons. He has been Medical Director of Communications for Medtronic, which invented heart pacemakers, a research physician at The Institute for Inter-disciplinary Studies (a think tank) and a consultant to the University of Southern California's School of Medicine. With Kenneth Blanchard, Johnson co-authored the bestselling The One Minute Manager, and has written a number of other One Minute books. He is also the creator of the children's series ValueTales, base on the life lessons of famous people, and the motivational gift book, The Precious Present. Johnson started telling the Who Moved My Cheese? story over twenty years ago but it was only published at Kenneth Blanchard's urgings. Publishers claim sales figures of over 12 million copies.